The quilt is on the frame....Horray. your mojo doesn't want to click in. My frame is a little Gracie. I can quilt up to a queen. That's just fine for me. Mr. dh is working in the next room in his shop. Mind you his door is always closed. we seem to have a beat. I have decided to quilt overall meandering. Not much thinking on my part. I find it the fastest and easiest to do. I not sure if I mentioned in the past that I do not have a longarm machine. 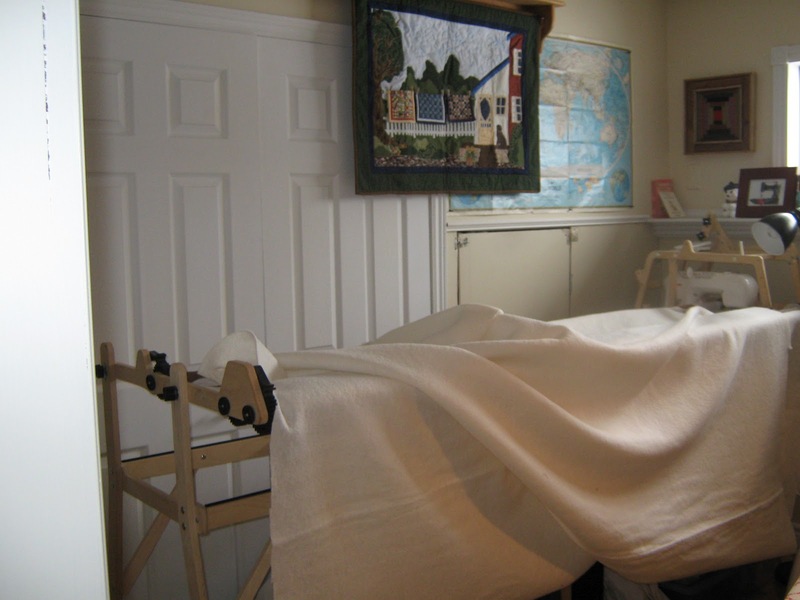 I use my Janome up on a platform. to do all my sewing. I just finished adding on the binding. So tonight while I watch a movie I will finish it. 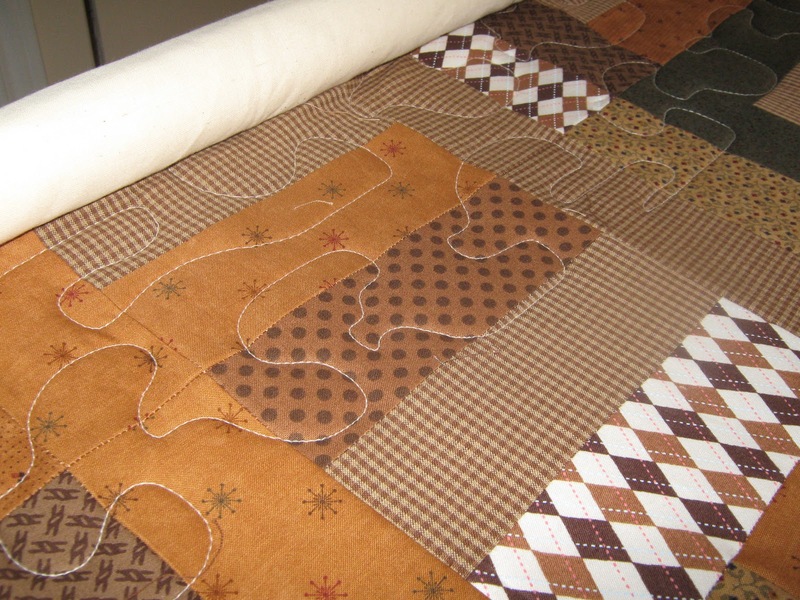 It's always interesting to me to see how other quilters work up/finish their quilts. ;-) I can't wait to see the finished quilt. 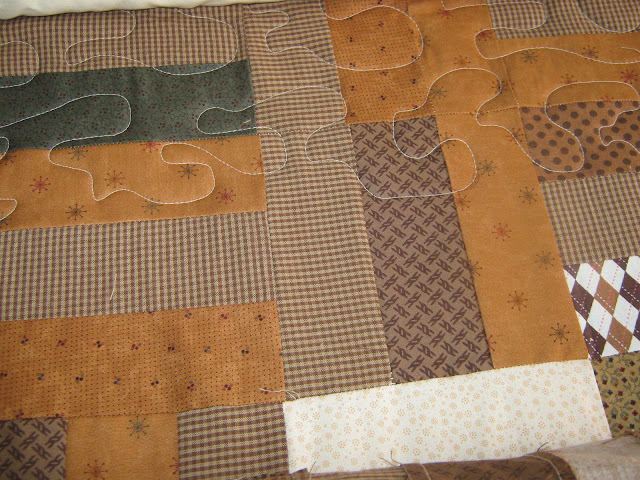 I need to get some quilts quilted, i have to free motion, so tend to drag my feet. I did see some videos and saw how others do it, so gave me some visuals to try to make it easier for me. I am seriously thinking about getting a small frame for quilting. Do you like the wood frame?? There are so many to choose from now. What a great set up. Great meandering. I have a terrible time always making mine to 'small'. I can't wait to see it finished. 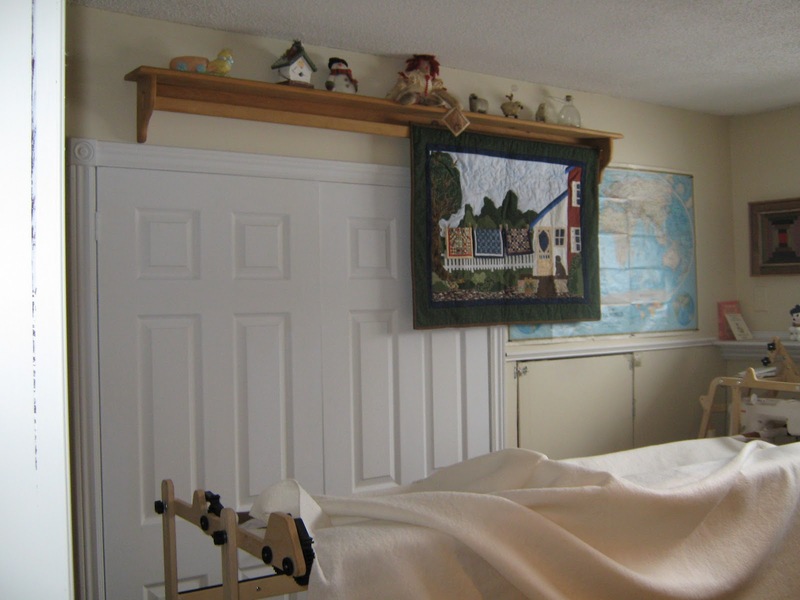 The frame must work so much better than trying to handle the quilt while quilting. 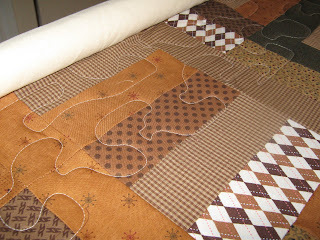 love everything about this post... the quilt your working on, not to mention the super cute animated sewing lady! where can I download her from?